Sandwell District is dead; long live Sandwell District. 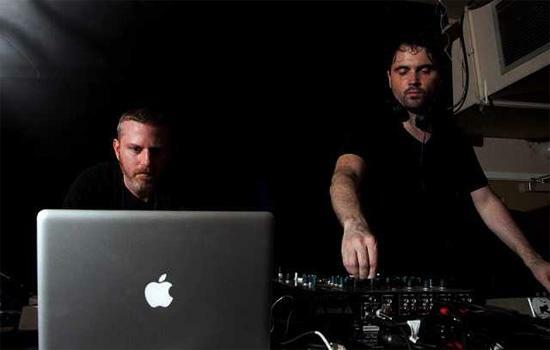 The techno collective, which dissolved the label wing of its operations at the very end of 2011, have continued to operate in the live arena in the time period since, with members Function and Regis regularly DJing under the Sandwell name. Now they've announced that they're to contribute the next volume to Fabric's ongoing mix series, perhaps hinting that self-issued reports on the collective's demise might well be rather more complicated than "it's all over". That said, as Resident Advisor report, Function describes the mix as "encapsulating an era and putting it to rest," so perhaps this marks an endpoint after all. Either way the tracklist is packed full of hard-hitting material, suggesting that Fabric 69 is going to be a suitably driving, tunnelvision techno affair, throwing the likes of Untold, Factory Floor, Trevino, Carl Craig, Mika Vainio's Ø, MMM's Fiedel and Mary Velo in among a good scattering of tracks from core Sandwell members Silent Servant, Function and Regis. "The mix was essentially an extension of Dave's [Function] working procedure and mindset he had got himself into while recording his artist album [Incubation] for Ostgut," said Regis to RA. "I outlined some sections/tracks that I thought might work with his, [then] I sent him rough 10 minute drafts for him to listen to and try and work into the main flow. The final mixdown was done by Dave, as he had gone over the whole mix hundreds of times fine tuning the detail, it made sense for him to execute the mix proper."